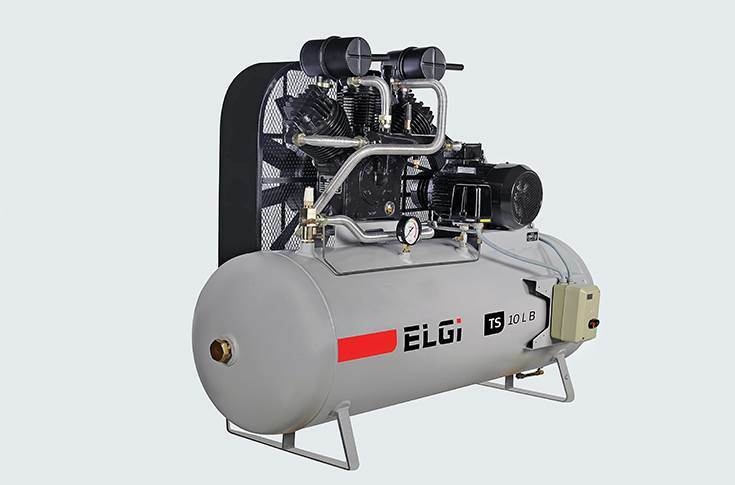 Coimbatore-based Elgi Equipments, a leading air compressor manufacturer with innovative and technologically superior compressed air systems, is aiming to become a global supplier of compressors. A well-established brand in India, it is now expanding aggressively in key global markets, moving up its brand by offering high-quality compressors with what it calls is lowest lifecycle costs. The Indian compressor market is a small one, estimated at barely 4 percent of the global market; as such, the company is gunning for increased business in overseas markets. In FY2018, with revenues of Rs 1,622 crore, the compressor business accounted for 89 percent of Elgi Equipments’ total sales, and 90 percent of the profits. At present, the company derives nearly half its revenue from outside India and 60 percent of its international revenue from Europe and America. Elgi, which has manufacturing units in India and Italy, markets its compressors in 70 countries and is directly present in 18; it has 200 distributors worldwide. The company says it is gaining market share in North America where its machines are fast gaining a reputation for reliability and energy efficiency. Elgi's air compressors range from 1hp piston to 2,000 hp centrifugal machines backed by in-house technology. The company says its groundwork over many years has helped its made-in-India products gain recognition in many of the world's developed markets. Initially, appointing distributors was a huge challenge as the brand was not well recognised. However, as a result of its high-quality and reliable products accompanied by speedy service support, customer trust is coming its way. This is amply seen in the growing number of repeat orders. “Customers in the developed markets are highly demanding. They don’t look at just the acquisition cost of the product but also at higher quality and reliability which we have been able to deliver consistently,” said Varadaraj. Elgi is now looking to scale up its business and leverage its growing brand in developed markets. While it is already well established in two big markets – the USA and Europe – it is looking to augment its manufacturing footprint abroad. “Once the market reaches a certain size, you need local manufacturing otherwise delivering customer expectations and creating an inventory to serve the market efficiently is difficult. Given our high growth in the US market, we may need to establish a production facility in the next two years,” disclosed Varadaraj. Given the wider headroom for growth in export markets over the medium term, the company, not surprisingly, is bullish on the overseas business consistently contributing more to overall revenues. While the percentage growth will be high in markets like the USA and Europe given the low base, the growth of the company will also depend on how its India business delivers. As a strategy, the core technology will remain in India but the production will move to any locations as per customer requirement. Compressors are always capacity dependent and not on capacity utilisation; a compressor helps build capacity but doesn’t utilise the capacity. Therefore, demand for compressors is always driven by increased activity in the manufacturing sector or when companies go ahead with their capacity expansion programmes. New-gen EG series compressors made in compliance with global standards and significantly reduce operating costs. Last year, Elgi has been able to achieve reasonable growth on the back of increased industrial activity and capacity enhancement, combined with rising compressor sales in select strategic international markets. According to the company, over the past couple of years, it has seen a resurgence in building product capacities and from non-infrastructure industries like automotive, textile, food and pharmaceutical. “Last year, we have gained a little bit of market share, and it is part of our initiative not only to grow consistently with the economy but also to grow our market share,” said Varadaraj. The automotive sector remains one of the biggest businesses for the company, where both OEMs and their Tier 1 and 2 component suppliers are big customers. Elgi claims its compressors equip almost every vehicle and component manufacturing plant in India. Its EG and EN compressor series, ranging from 2.2 to 75 kW and 11-250 kW respectively, are the preferred units by automotive manufacturers and suppliers. 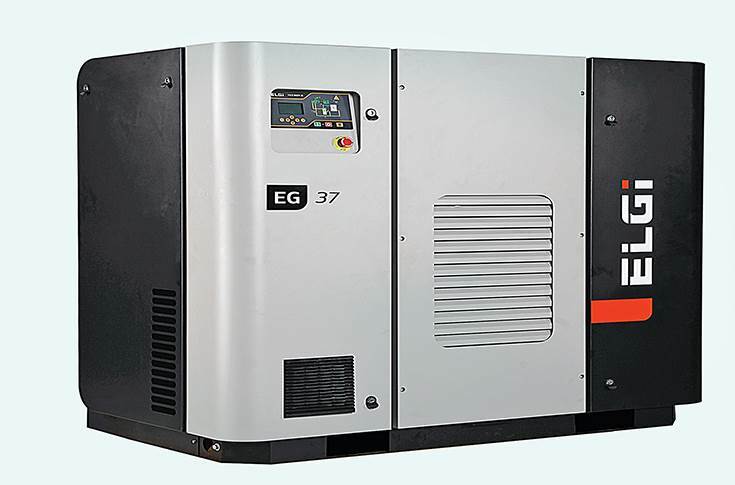 The EG Series Screw compressors come with superior design and performance; the company says this new range of air compressors ensures the lowest ownership cost experience for customers. The EN Series screw compressors are designed to encapsulate all functional components of the compressor within a common housing. With a small footprint, high reliability and low maintenance requirements, these compressors are best suited for automotive industrial applications where size, efficiency and cost matter, says Elgi. 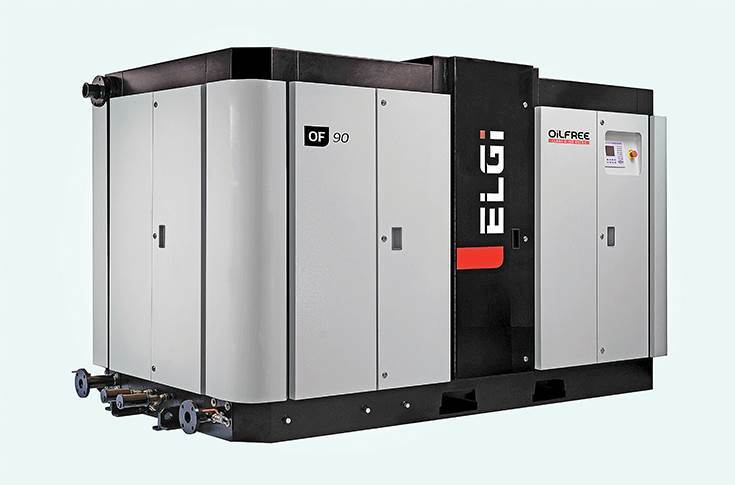 At present, Elgi Equipments offers the complete range of compressed air solutions from oil-flooded and oil-free electric-powered screw compressors, diesel- powered portable screw compressors, oil-flooded and oil-free reciprocating compressors and centrifugal compressors, to dryers, up and downstream accessories that help customers to run their business smoothly, efficiently and profitably. Elgi's industrial single and two-stage compressors find applications in automotive garage, small and medium fabrication units, and pneumatic tools. As a result of over five decades of experience in manufacturing air compressors, Elgi Equipments ranks among the world’s top five global companies when it comes to designing and manufacturing proprietary oil-free air-ends. It has, till now, developed over 400 compressed air systems ranging from large centrifugal compressors to the world’s smallest screw compressor. With its formidable presence in the compressor business, the company offers a complete range of air compressors from 1hp piston to 2,000 hp centrifugal machines backed by in-house technology. Elgi Equipments has a robust new product program in place, aimed at delivering higher value propositions. Its product development process has a key focus area: meeting the highest customer expectations. Technology has been the driving force of the company, which has a dedicated R&D team of 170 staffers focused on innovation in compressors. The company says it will continue to invest in its core domain of compressor technologies, with the overall goal of offering the lowest ownership cost with lower energy and maintenance costs. At present, work is underway to introduce customer-friendly technology initiatives which will enable them to monitor a compressor's key parameters while also predicting failure, scheduling maintenance and improving product quality. It's things like this that make life happier for production heads on the automotive shop floor.